For your well-being! Traditional mineral paint based on aged slaked lime, in professional quality with excellent properties, e.g. 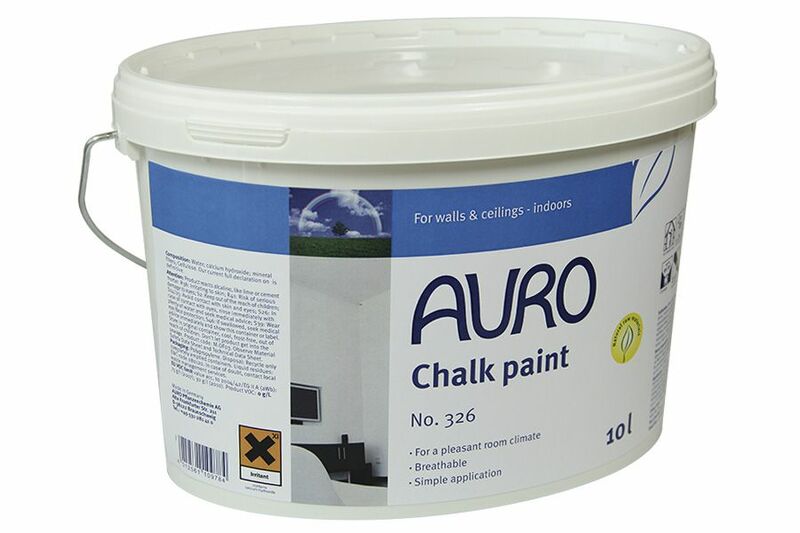 moisture-vapour permeability, ability to prevent mould growth and absorb odours. 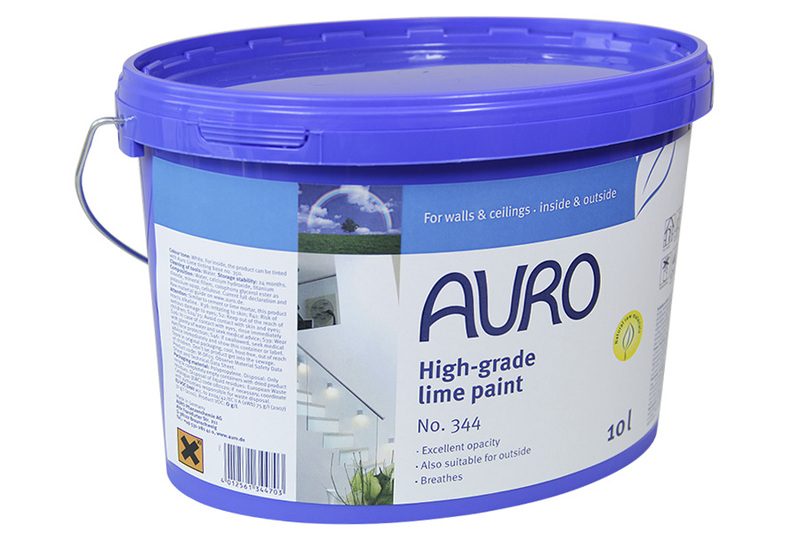 The AURO lime products are the first choice in design both in new buildings and when restoring historic buildings and buildings under preservation orders. Good adhesion on all mineral substrates but also on woodchip wallpaper, gypsum plasterboard or clay. 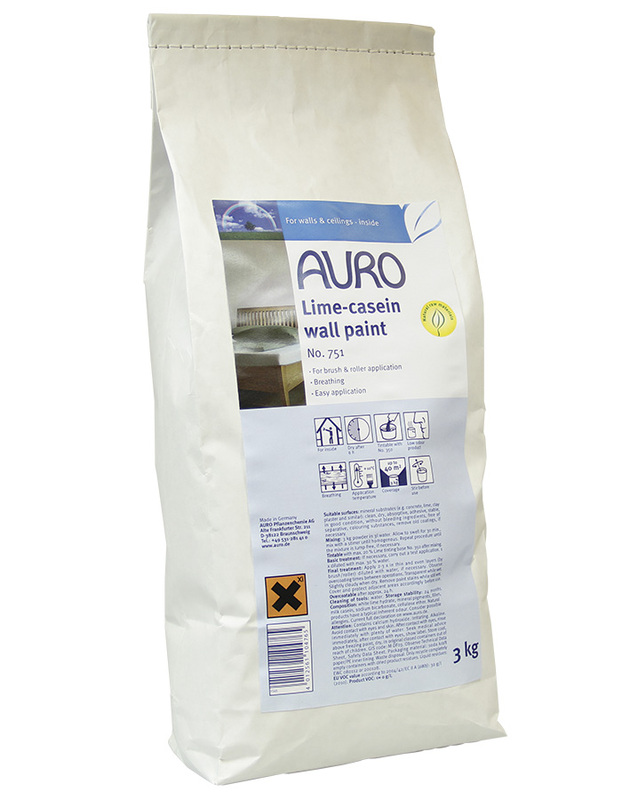 For indoor use, the product can be tinted with AURO Lime tinting base no. 350. For exterior coatings, use only white, untinted paint. (Information for colour tone mixing: net weight per 5 l = 6,9 kg | 10 l = 13,8 kg). The paint can be diluted with up to 10 % water. Stir well and apply 1 to 3 coats with a roller or brush. Allow for 24 hours of drying time between coats. In white only the no. 344 can be used on exterior walls. When still wet, the High-grade lime paint appears transparent but gets covering white when dry. It can also be tinted with the Lime tinting base no. 350. The colour tone book shows 80 vibrant colour tones.